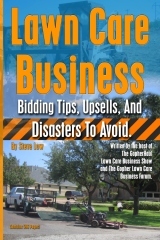 « A lawn care business owner who is starting to panic. 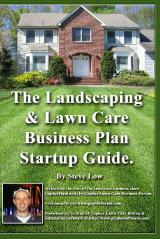 Have you ever found yourself pondering if you should start a lawn care business? If you did take that step, have you found yourself at times thinking of giving up? I am sure every entrepreneur has those thoughts at one time or another, but take it from these two business owners on how important it is to stick with it. 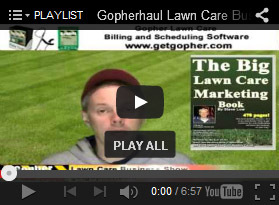 There are a million little things that can drive you crazy about anything and make you want to throw your hands up in the air, but before you give up, think of these stories from the Gopher Lawn Care Business Forum. One lawn care business owner wrote “hello everyone I am in my late 40’s and work full time for the local sheriff’s department. I am a sergeant in the jail. I have worked there almost 21 years and I have a little over 4 years until I retire. 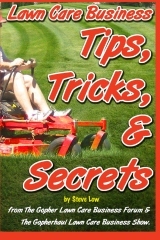 Years back, I started a mowing business with a friend of mine but that fizzled out after a short time. 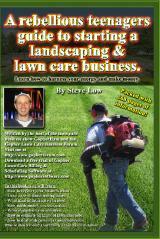 More recently I bought into another mowing business as a partner. By the end of the year my partner decided he was done with the business, and I took it over. I have since renamed the business and am trying to make a go of it. As I sit here now, I find myself spending a lot of time thinking about my previous decisions. 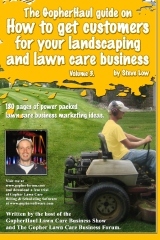 What if I had kept that mowing business going for the past 30 years. Imagine what the size of the company would be now! I probably would have had a fleet of trucks and sold it all off to retire. Here I now almost starting from scratch again and I wish I would have just stuck with it. Why didn’t I? I have no idea. What ever the reason was at the time, I am sure it was a dumb reason to stop. This past partner that I had was aggravated that we didn’t triple our accounts that year I joined up. He was sure having me in there was going to magically get more customers and have 3 mowing crews on the road, and make all this money. His plan was that he and I would focus on different parts of the company and we would just inspect the work our employees did. 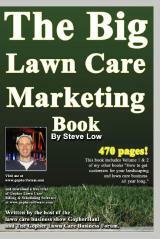 His numbers all sounded good, but I realize you have to build a lawn care business gradually, and he did not. He got disheartened because it did not happen right away. His allergies also bothered him a lot, and he was making better money as a bartender. I don’t feel that burn out that he felt. 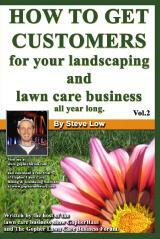 I still enjoy going out, mowing lawns, and interacting with my customers. 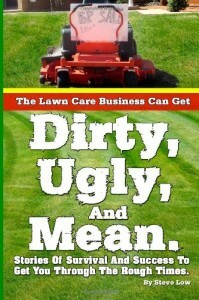 I make good money as a sergeant and I started my lawn care business for some extra money. I have worked 2 jobs for the past 20 years . Before I started mowing, I worked for a supermarket. I retire from the sheriff’s department in 4 years, and I will need to do something. I plan on building the business gradually until then, and then expand it so I am booked all week. 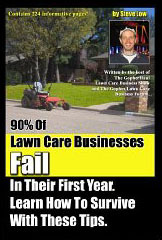 Reflecting on my life I just want to put out there to all the other younger new lawn care business owners. Don’t give up. Don’t think this can’t turn into something big because it can. 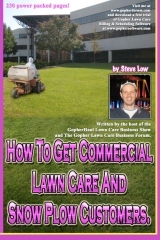 If you have the bug to start a lawn care business, you need to follow through with it. 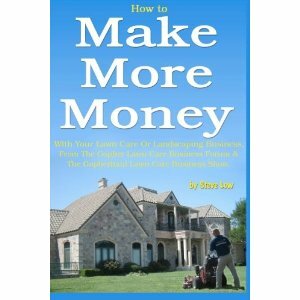 If you are a young guy in your late teens or twenties, you have 30 years of business growth ahead of you. 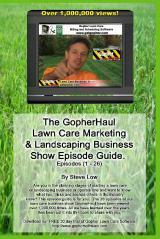 It doesn’t take long to get the business up and going and have a full schedule. Maybe a couple of years at max. 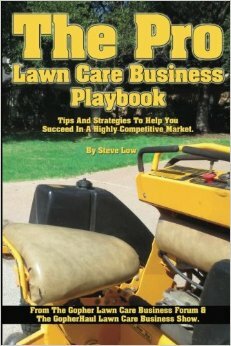 This entry was posted on Friday, February 28th, 2014 at 10:24 pm	and is filed under Business Failure, Lawn Care Business, Partnership, Trials and Tribulations. You can follow any responses to this entry through the RSS 2.0 feed. You can leave a response, or trackback from your own site.